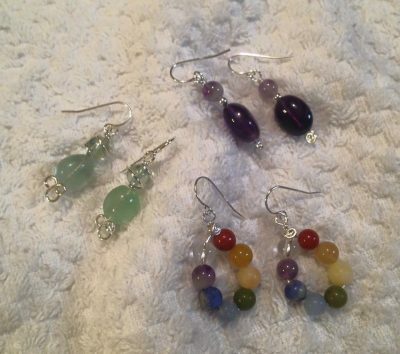 Learn to make wire and gemstone earrings. Choose copper or silver-tone wire and genuine gemstone beads. 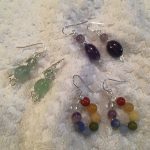 You will make three pairs of earrings to take home. Tools and materials provided. No experience needed! Class meets from 2 – 4:30pm at the Ice House. Online registration open until 12 noon on Thurs., Sept. 28. Thereafter, please call 304-258-2300.